The Cartoon Network has some fantastic intellectual property. 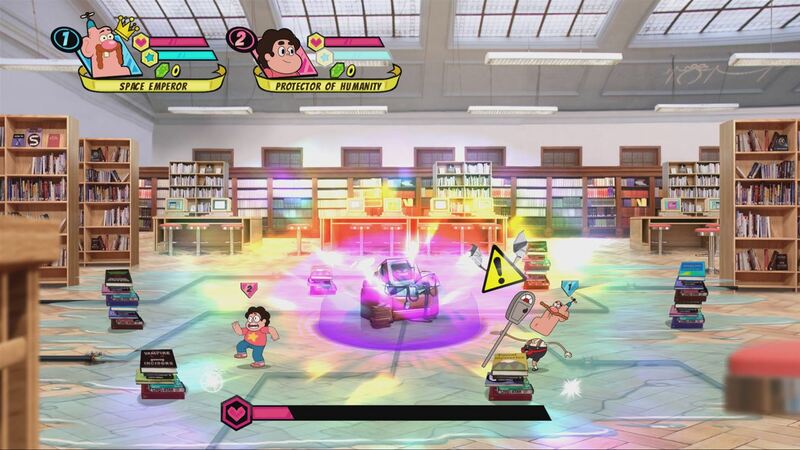 I wish I were writing about how Cartoon Network: Battle Crashers brings them all together in a fun and original way, but sadly, it seems to have been actively designed to do the opposite. Battle Crashers is an awful game, and it’s a real shame that the five popular cartoons represented here will be tarnished by such a tasteless, mind-numbing cash-in that kids will be desperate to play. 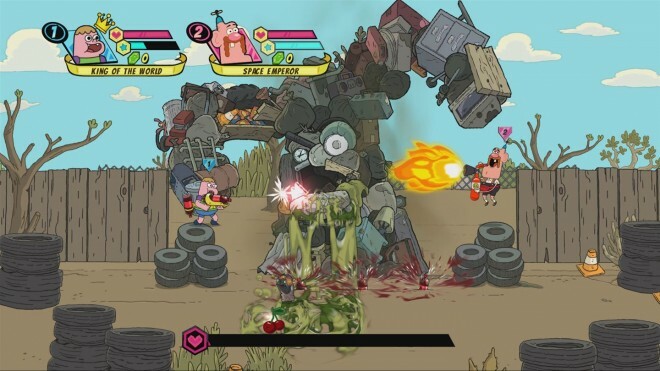 In the most tenuous sense, Battle Crashers is a side scrolling beat-em-up which has players roam through three levels themed around each of the featured cartoons, defeating enemies and bosses whilst also collecting gems and other items. 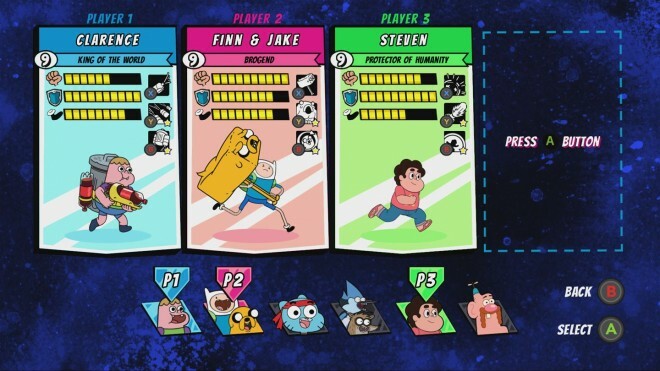 The association that each level has with the Cartoon Network shows is practically non-existent, and there is nothing thematic or interesting to differentiate one level to the next except the thinnest veneer of graphical variation. The game itself is repetitive in the least and so ridiculously easy that it is practically impossible to die. Honestly, I haven’t played a worse game since Frizzy, but at least that wasn’t an expensive and cynical cash-in released right before the holidays. Looks kind of like a CN cartoon — Battle Crashers has decent graphics, that do resemble the characters and possible locations from the various Cartoon Network shows. The animation is nice, and occasionally, there are moments of very minor amusement that will raise a smile. I can’t help but think that if the same level of interest had been channeled into creating interesting locations and concepts, Battle Crashers might have been a more redeemable game. Brutally repetitive — I could hardly believe how repetitive Battle Crashers is. Sure, there are six characters to play as and a total of eighteen levels to play through, but there is no variation to keep the player interested. Every level is basically the most generic interpretation of a scene from the cartoon that inspired it, meaning that there is nothing unique or interesting about any of them. Characters do vary, but Finn and Jake are so much more powerful than anyone else that it makes the idea of switching for a given situation completely redundant. There are a base attack and two special attacks, but I would be lying if I hinted at tactical depth – the base is more than adequate to get you through the whole game, including bosses. Pointless — On the subject of bosses, each one does introduce a slight variance in enemy type at least, even if the tactic for defeating them is broadly the same. None of the levels, nor the bosses that inhabit them, are introduced with even a hint of narrative. Although I have seen most of these cartoons at least a few times, I can’t see any reason why the bosses that were included in the game were chosen over more recognisable choices from the same shows. Every level is a flat, pointless wander from left to right which ends abruptly and often catapults the player back to a previous level to find an item that doesn’t spawn until the game wants you to find it. This repetition and feeling of futility are compounded for the sake of elongating an already rubbish experience. Underused and oversold — The fact that six well-loved cartoons are represented in such a rubbish game is one thing, but to clearly trade off the success of a popular, similar game, Castle Crashers, is equally shameful. Nothing about Battle Crashers is acceptable except the rendering and animation of the key characters. It knowingly delivers a dull, overpriced, ridiculously easy and insultingly simple experience that is neither simple and engaging enough to interest young children nor entertaining in any way for older players whether adolescent or otherwise. There is no reason for anyone (including the most diehard fan) to waste their time, money and hope on this mess. I wasn’t kidding when I said that Battle Crashers was the worst game I’ve played since Frizzy. It really is just dull, unimaginative and embarrassing rubbish. I find the fact that it is being sold for $29.99 to be an absolute liberty because I don’t think it’s worth even ten percent of that. Do yourself or your kids a favour and ask Saint Nicholas to look elsewhere this year. 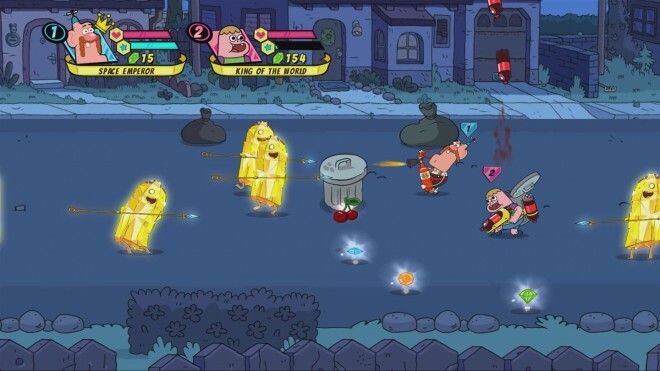 Cartoon Network: Battle Crashers was developed by Magic Pockets and was published by GameMill Entertainment on Xbox One. It released on November 4, 2016 for $29.99. A copy was provided for review purposes.